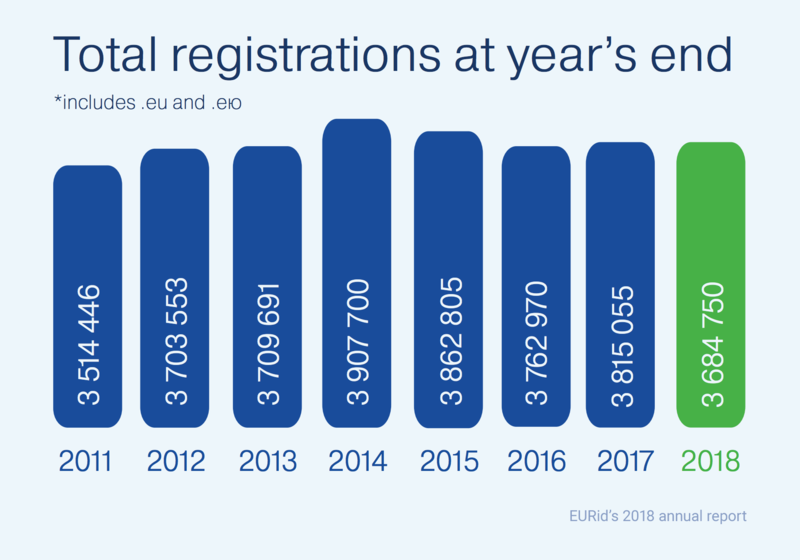 EURid, the registry manager of Europe's .EU top-level domain, released its Annual Report today, revealing that in 2018 the total net registrations decreased by 130,305 (from 3,815,055 to 3,684,750). The organization has also added that .EU growth in domain registration mainly happened in Cyprus, Portugal, Romania, and Ireland, and Norway (an EEA country). Local Time: Tuesday, April 23, 2019 07:24 AM PDT – Page Load: 0.2754 Sec.